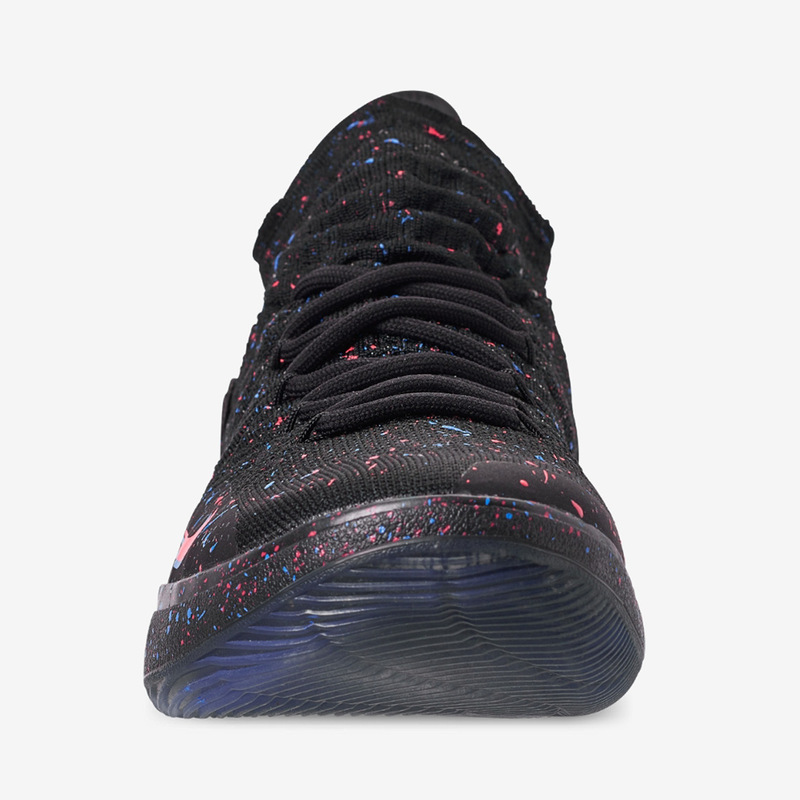 In his first two seasons as a member of the Golden State Warriors, Kevin Durant has become accustomed to confetti, as the Dubs have taken home back-to-back Larry O’Brien trophies, causing an array of blue and golden yellow confetti to reign down from the ceiling of Oracle Arena. 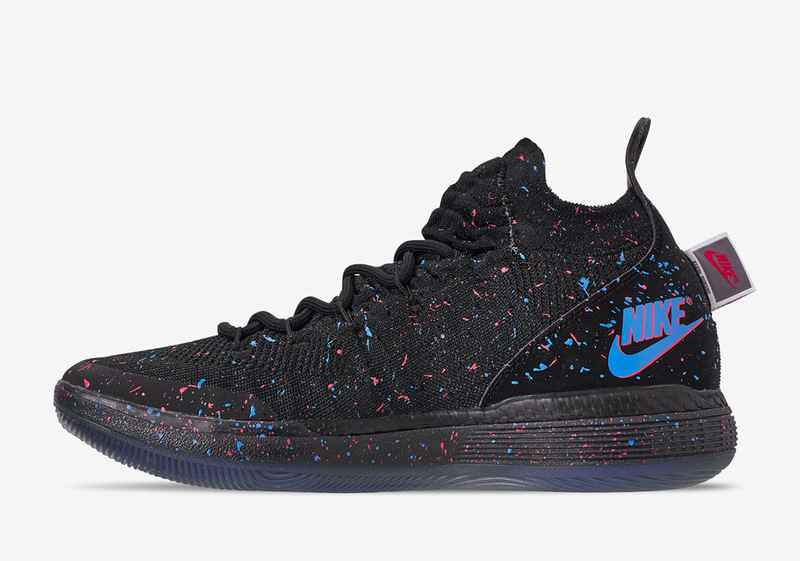 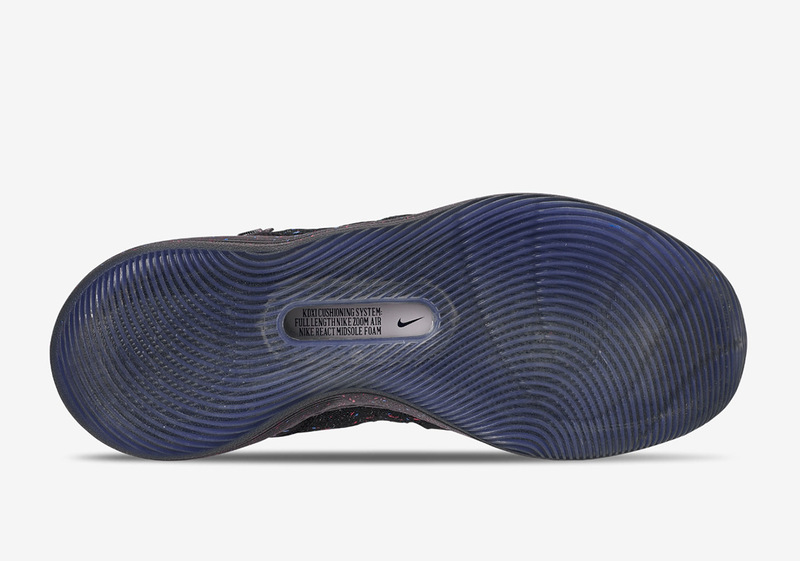 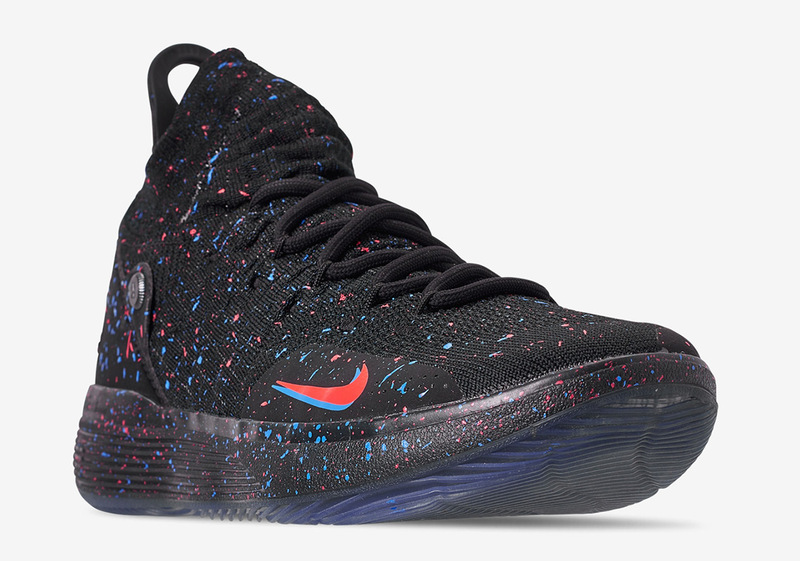 Now, the Slim Reaper is set to add even more confetti into the fold by way of a Bright Crimson and Photo Blue-equipped version of the KD 11 that sees the entirety of its black, knit upper draped in a quick flecks of blue and red. 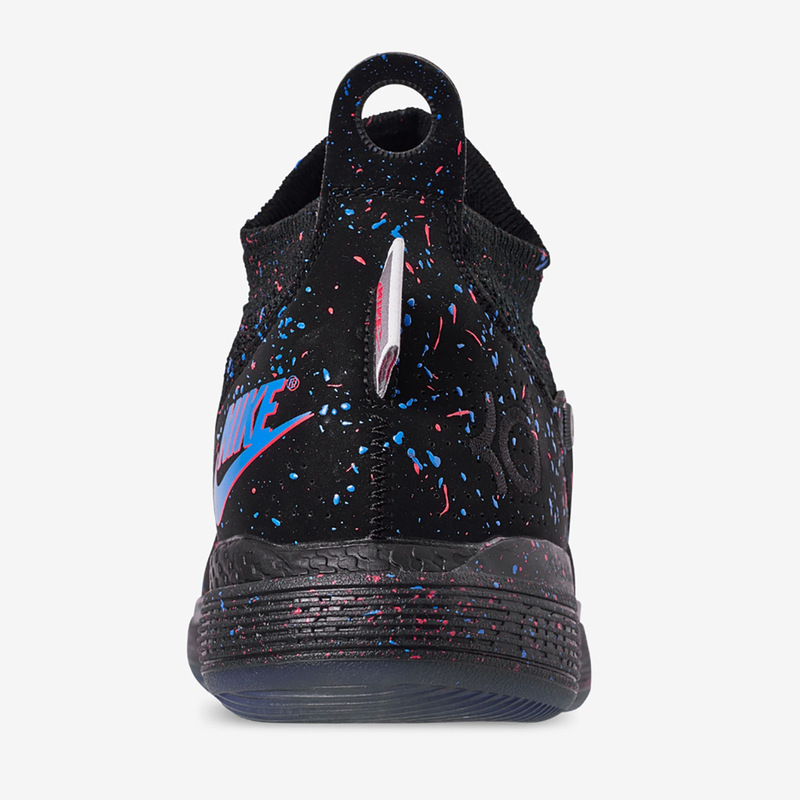 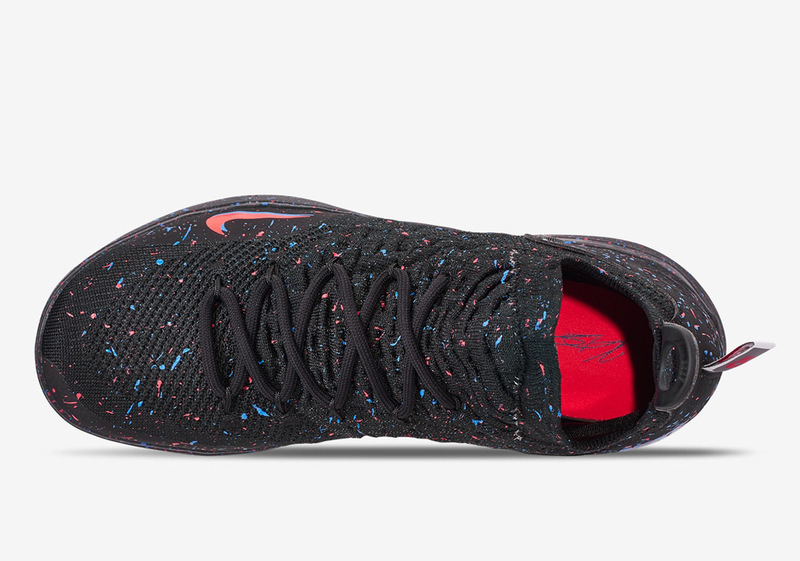 Meant to liven up this otherwise mundane creation, those aforementioned hits of confetti sit atop the blacked out upper of this KD sneaker. 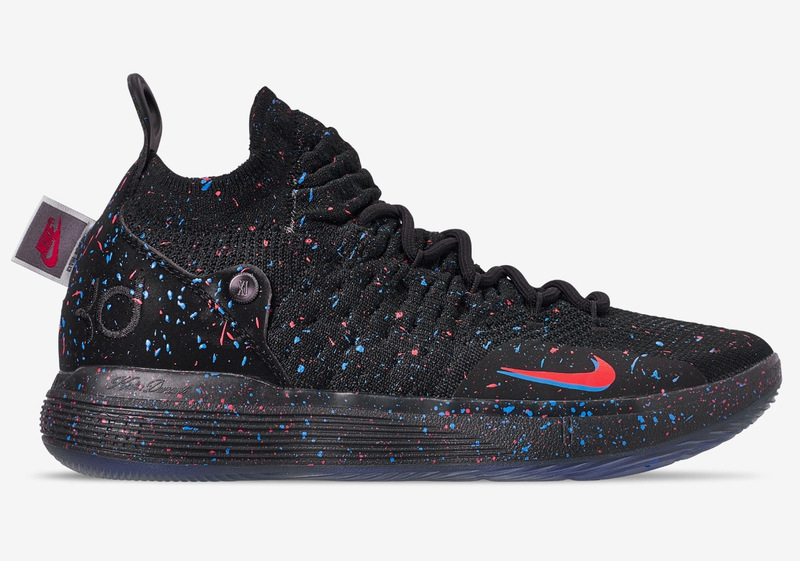 Enjoy a detailed look at the newest KD 11 color scheme below and expect pairs to arrive at retailers all around the globe on the first of February.